By Isabelle Evans | December 10, 2017. Growing up we are always asked: “What do you want to be when you grow up?” and the five-year-old versions of ourselves would be much more confident in giving an answer. Ask any twenty one year old that same question, or better yet, ask them if they’ve become what they wanted to be. To be honest, most young people haven’t a notion what they want to do with their lives, or how to achieve it. This is not the case for Thammy Nguyen, a 21-year-old business woman who juggles college, weightlifting and pursuing her career. Thammy is the creator of Thammy Lash, an internationally recognised lash brand which attracts customers from as far as the USA and Australia. 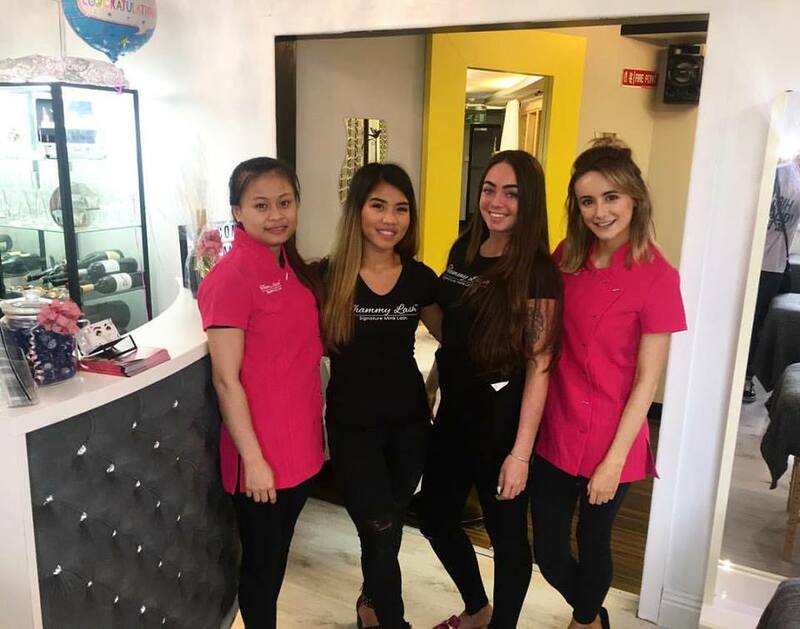 Not only has Thammy created her own lash brand, but she owns three salons across Dublin, personally training each lash technician. Her salons are located in Clarehall, Dorset Street and on the DCU campus. Growing up, Thammy and her family have always been involved in sport, and encouraged her to be as active as possible. When she joined weightlifting at age 15, she found she loved it and picked it up really quickly. The lash interest itself started from a lash course she received as a gift three years ago. “I never really had an interest in beauty, I wouldn’t know how to do my makeup or my hair and I wouldn’t be into fashion.” As Thammy picked up lashes really quickly, more and more clients came through the word of mouth. 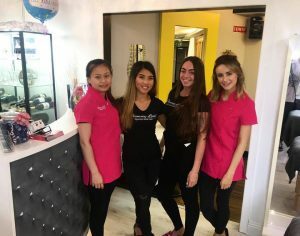 From doing lashes in her room, to owning three salons and running training courses in how to apply eyelashes, Thammy’s business grew almost overnight. “There was a huge pressure that came when the business grew. Words spread very easily put it that way.” This is helped by social media. Thammy has nearly 7000 followers on her lash Instagram page alone. Since she is so young and yet so successful, I asked Thammy was there ever a light bulb moment where she realised that she was in fact a businesswoman, and not just an average 21-year-old. Like many lash technicians, Thammy was originally ordering in lashes from other suppliers. However after becoming so used to lashes she was able to create her own which have her own unique style. “I like to think outside of the box. So I thought to myself, what would make me different? People were asking me, ‘What brand do you use?’ and ‘What style do you use?’, but I was telling them my secrets and tricks when I could’ve put my name on it and sold it. So I decided that I wasn’t going to copy anyone else, they could copy me. After spending only a short time with Thammy, I had felt like I had been at a TED Talk, and I was so motivated leaving the salon. If anything, talking to Thammy made me want to go home and think of a new business. For someone so successful, Thammy is one of the most down to earth and loveliest people you will meet. “Did I talk too much?” giggles Thammy.